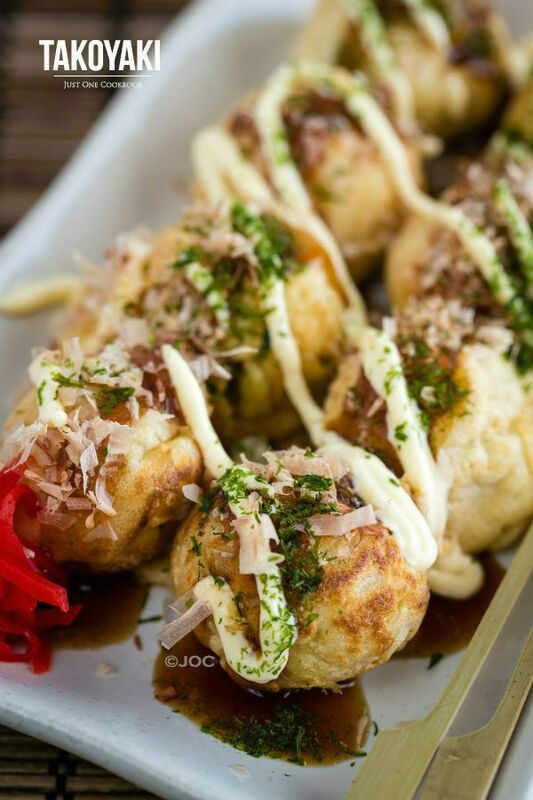 Today, we are making Takoyaki. 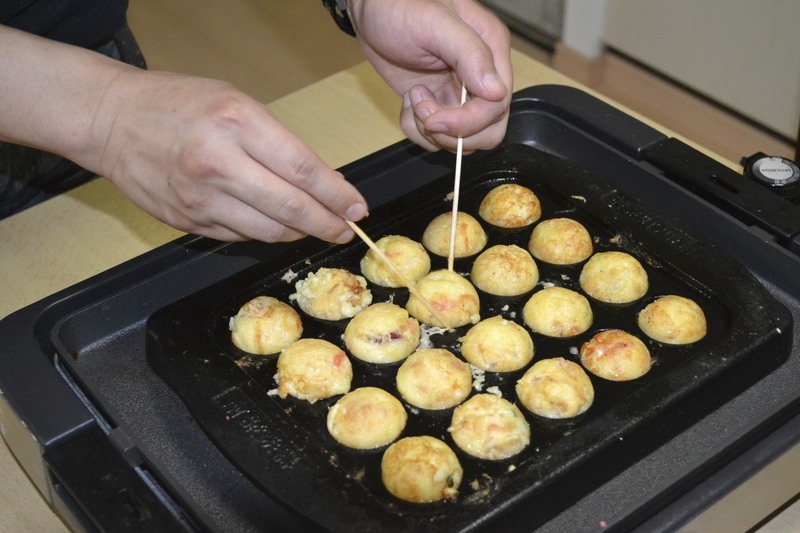 It’s a tiny and savory ball shape pancake, a piece of octopus in the center. Crispy on the outside gooey on the inside.